When it comes to whistleblowing, one needn’t look far, as current headlines surrounding Theranos and its CEO Elizabeth Holmes demonstrate that reporting misconduct does make a difference. By all accounts, speaking up when something is ethically or legally wrong can upend a company’s bottom line, as explained by Marketplace online. Yet, being a whistleblower is not easy, and that’s why it’s important to contact an experienced whistleblower/qui tam lawsuits attorney if you’ve witnessed misconduct or illegal activity. To better understand the basis of whistleblowing, it’s wise to take a look at a case that laid the foundation for today’s whistleblower protection laws. As history would have it, Benjamin Franklin was the first whistleblower in America. In 1773, Franklin exposed Thomas Hutchinson, the appointed governor of Massachusetts, after finding letters proving that Hutchinson was misleading parliament. This case, along with state laws throughout the country, help protect whistleblowers from retaliation when they come forward. 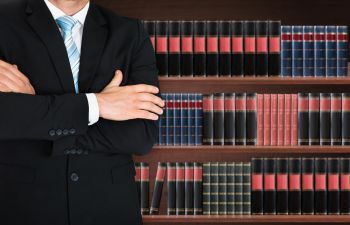 These laws date back to “Lincoln’s Law,” or the False Claims Act of 1863, and also include the Whistleblower Protection Act of 1989 and the First Amendment. Even so, whistleblowers are sometimes seen as the enemy, and often gain unwanted attention for their actions. For instance, after exposing the dark and dirty secrets of his tobacco company, one whistleblower was hit with several lawsuits from other tobacco companies. However, his decision to come forward proved vital for the success of other lawsuits, as well as the common good. Originating in medieval England, Qui Tam is a Latin phrase that translates, “He who prosecutes for himself as well as the king.” With this in mind, many value whistleblowing as a means to maintain an open and honest culture. At Moriarty Injury Lawyer, we gladly represent whistleblowers that are willing to identify fraudulent behavior, and we do so by helping them sue the companies that are essentially stealing from the government. As such, we file whistleblower/qui tam lawsuits relating to government fraud, realtor and contractor fraud. Are you interested in learning more about filing a qui tam lawsuit? Moriarty Injury Lawyer can help you do the right thing and perhaps earn a large reward for coming forward. Call today!